"The fact that I, myself, do not understand the meaning of my paintings at the time that I am painting them does not mean that they have no meaning." Welcome to DaliLithographs.com. We are the exclusive publishers of this exciting collection of twelve hand-signed, extremely limited edition Salvador Dali lithographs. These stunning lithographs are renderings after original Salvador Dali paintings. 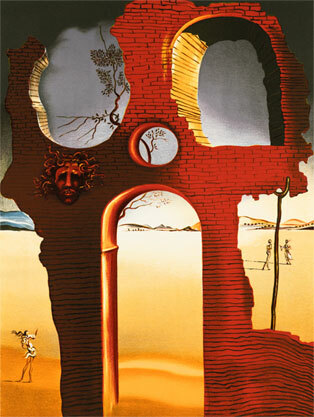 The work spans much of Dali’s lifetime, displaying a variety of the master’s styles. Each work of art bears the original signature, in pencil, of Master Dali and have been verified as authentic by the Salvador Dali Archives. "I wanted to thank you so much for all of your help and expertise in purchasing my first ever Dali Lithograph! We offer FREE domestic shipping on all unframed purchases.